Have a look at this page if want to know more about Mexico, its visa procedure, cuisine, attractions and events. The homeland of one of the world’s most ancient civilizations, Mexico has always been one of the countries that raises curiosity. In the modern world, with or without knowing and no matter which part of the world we live, we are exposed to a major part of the Mexican culture. Now it is time for you to go and experience these fantastic features for yourself. Mexico is actually one of the biggest countries in the world and a treasure in terms of the natural diversion. Rain forests, deserts, jungles, mountains and beaches coexist in the country, and this eventually makes Mexico a center for all sorts of attractions. The climate in the country changes accordingly to the area, so it is not possible to talk about one single weather type. The capital of Mexico, Mexico City is the meeting point for all sorts of cultural, business and sports events however the other major cities such as Acapulco, Cancun and Mazatlan also attracts tourists throughout the year. The total population of Mexico is almost 117 million people, living in 6 different regions of the country. There are 68 official languages in Mexico. Yes, 68. However Spanish is the most spoken one, and unfortunately the others may even be regarded as not spoken at all. If you know a bit Spanish your time would be easier during your trip but Mexicans, especially the young generation is quite good at English. A trip to Mexico guarantees some unforgettable memories. Some of them will include Mexican rhythms accompanied by tequila, some of them will have a setting of an amazing beach. In some of them you will find the inspiration close to Frida Kahlo’s or Diego Rivera’s. No matter which part of the country you will visit, you will have a bag of unforgettable moments when you go back home. And these will, sooner or later, make you want to come back to Mexico. Mexico is located on North America, neighboring United States of America, Guatemala and Belize. The long coastlines include Pacific Ocean, Gulf of Mexico and Caribbean Sea. You can find detailed information about the visa policy of Mexico on Mexico’s Ministry of Foreign Affairs’ website . Cuisine of Mexico is probably the most well-known thing about the whole country. Well, actually the Mexican Cuisine sort of gets the recognition it deserves not only from people in different parts of the world, but also from the authorities. The whole Mexican Cuisine is in the list of UNESCO Intangible Cultural Heritage. So you better get ready to change your clothes size after your trip to Mexico. Due to the change of political dominations in the history, the cuisine of the land has gone under some changes, mostly the ingredients, but the roots stayed for good. Mexican cuisine first consisted of excessive usage of corns, beans, chili peppers. Then the introduction of meat, herbs and spices completed what we know of Mexican cuisine today. Don’t forget that you are in the homeland of Tequila. You will probably be astonished by the number of different types of it. Atole is another drink unique to Mexico. It is made from corn and usually accompanied by cinnamon sticks. You can also try Pulque, Tepache and Tuba while in Mexico. Going to Mexico definitely comes with a package of advantage. The countless attractions that are suitable for all kinds of interests are definitely some of those. Thanks to the geographical location of the country, you will be able to see some of the most beautiful beaches, forests and natural landscapes all around the world. Sports is popular not only among the travelers but also among the Mexicans, so sports attractions such as hiking, climbing and rafting are available. You can watch the whales, see a volcano and dive in the deepest blue of the oceans. The country is filled with museums, galleries and mausoleum since it is one of the oldest lands to host civilizations throughout the time. I am sure you will enjoy the time travel-like excursions to these places. 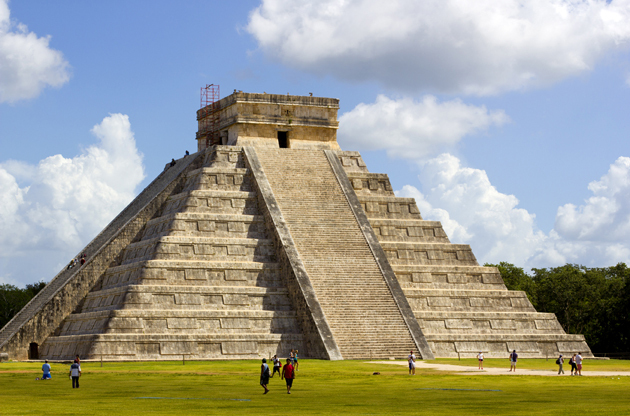 However, while in Mexico, visiting the archeological sites such as Chichen Itza, Tulum, Calakmul is going to be a different kind of experience. Mexico is a great country to fill your bag with items unique to the culture of the land. That may be wise to leave some extra space in your suitcase for those before arrival. The currency of the country is peso and any other currency while shopping is not accepted. Prepare your wallet accordingly in advance to your trip. You can also use the banks and exchange offices in the country to do so. Most places in the country accepts credit and ATM cards, except for the smaller shops like family run restaurants or businesses. If you are planning to make your purchases with cards, it would be wise to ask before you approach for the payment. Leather bags and sandals are among the popular items to be bought from Mexico since they are good in quality and relatively cheaper. Hand painted bowls and plates may be good to buy. Mexican Alebrijes is the symbol of the country and a popular souvenir. Mexican carpets, a bottle of tequila and spices are also in demand by the traveler in Mexico. Mexico has always been a destination visited by curious travelers and nature lovers. However recently the country has been reaching to the tops among the list of the countries where international events are held. Every year, starting with the capital, Mexico City, a lot of cities in Mexico become the hosts of many congresses, conferences, symposiums, tradeshows, fairs and exhibitions. The rich culture and the beauty of the country, the high quality hotels, venues and centers that answers all the needs of such large scale events, create an unforgettable event experience for the attendee.